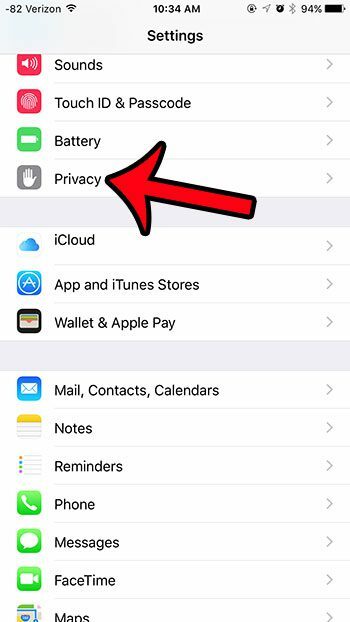 Have you noticed that your iPhone has learned information about you, such as the geographic location of your home or work? This is occurring with the help of the Frequent Locations feature on the device. But if you would prefer that your iPhone not have that information, you can elect to turn it off. 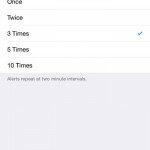 Our guide below will walk you through the process of configuring your Location Services so that you can turn off the Frequent Locations option. The steps in this article were performed on an iPhone 6 Plus, in iOS 9. 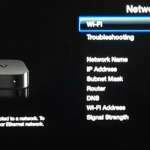 These same steps will work for iPhone models running iOS 7 or higher. 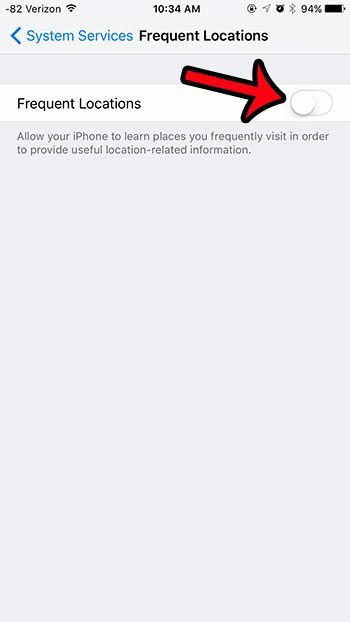 Note that this will not turn off Location Services on your device entirely. GPS and location tracking will still be used by other system services, as well as any apps for which it is currently enabled. 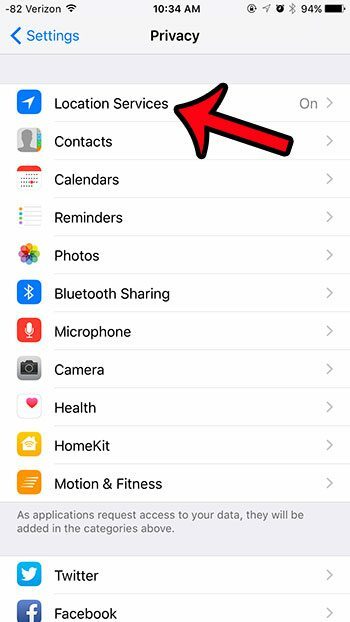 If you wish to turn off location tracking for a specific app, then you can read about disabling location tracking for Facebook to see what the steps look like for an individual app. Scroll down and select the Privacy option. Tap the Location Services button at the top of the screen. 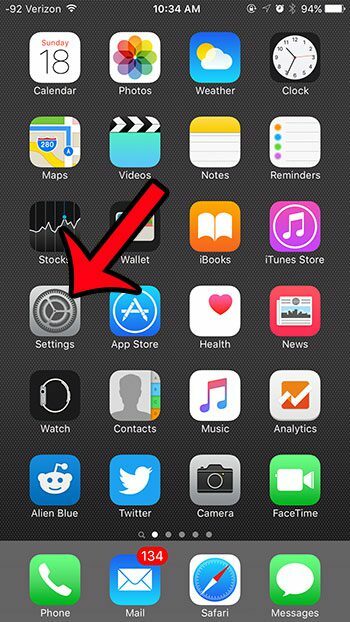 Scroll to the bottom of the screen and tap the System Services button. Scroll down and tap the Frequent Locations button. 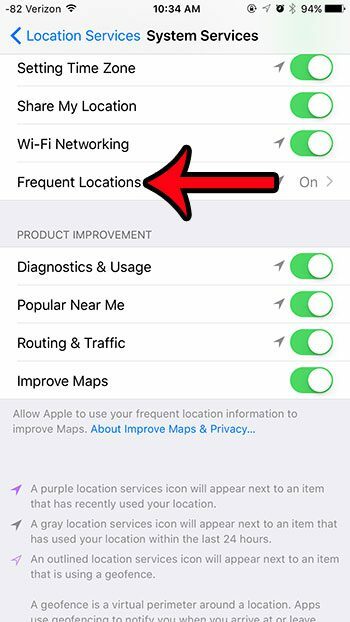 Tap the button to the right of Frequent Locations to turn it off. 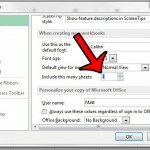 There will be no green shading around the button when it is turned off, and the button will be in the left position. Frequent Locations is turned off in the picture below. Do you often see the GPS arrow at the top of your screen, but aren’t sure what is using it? 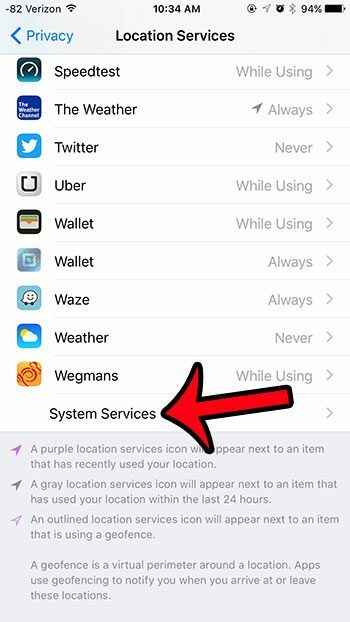 Learn how to find out which apps have recently been using your Location Services and causing the arrow to appear in the status bar.